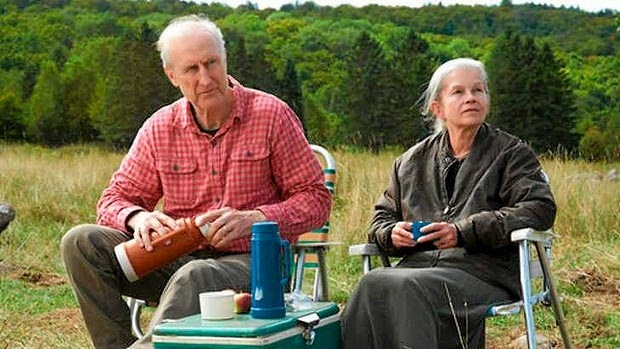 I received Still Mine in the mail a few weeks ago to review, and hadn't really heard of it, except of course we all know James Cromwell from films like Babe and others. It's a Canadian film that's based on a real story, and I'm always a sucker for those types of movies. Official synopsis: Oscar Nominees James Cromwell and Genevieve Bujold star in this love story based on actual events that proves love is the ultimate triumph. Determined to build a more suitable house for his wife Irene (Bujold), whose memory is failing, Craig Morrison (Cromwell) is met with resistance from an overzealous government inspector. Facing a possible jail sentence, and with Irene becoming increasingly ill, Craig races to finish the house in this beautiful story filled with heart and humor. The performances in this film were great, but it suffers from an extremely slow pace (longtime readers of this blog know that that's something I have issues with). The story is very interesting, so much so that I seeked out the real story after the credits rolled (see link above), which is very similar to the movie: a man in his 80s wanting to build a new house for his wife, who had Alzheimers, but lacked "permits" and all sorts of ridiculous things needed to build. The Globe and Mail calls it "a true Canadian story, a cautionary tale of the tremendous power of the state over the individual in an age of pervasive bureaucracy. It is, indeed, a profound parable of irretrievably lost independence and casually forgotten freedoms." I didn't know so many permits and fees and crazy things were needed before you build a house, even if it's on your own property (the Morrisons had plenty of it - acres, in fact), and this film was an eye-opener for me in that regard. I'd recommend it for anyone who likes good stories but can stand slow pacing, and overall it's worth checking out (and if you're so inclined, you can buy it on Amazon here). 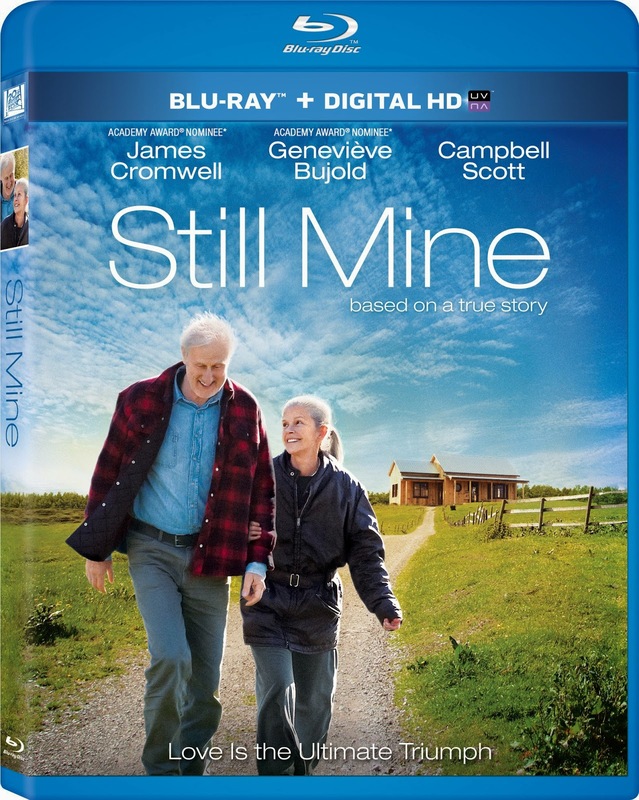 Still Mine is currently out on Blu-ray and is rated PG-13 with a runtime of 102 minutes. 3 stars out of 5. *Disclosure: I was provided with a Blu-ray copy of this movie in exchange for an honest review. All opinions expressed here are my own. Nice review! It's succinct and to the point. I like that. Keep 'em coming! Looks like a heartwarming story. Not sure if I'd like it if it's too slow though. I am a fast paced gal. LOL! It seems like the nature of the film, with the slow pace, could be a bit of torture- but the story appeals to me. I just might rent it. I'm not really a movie person - haven't watched one since 2007.